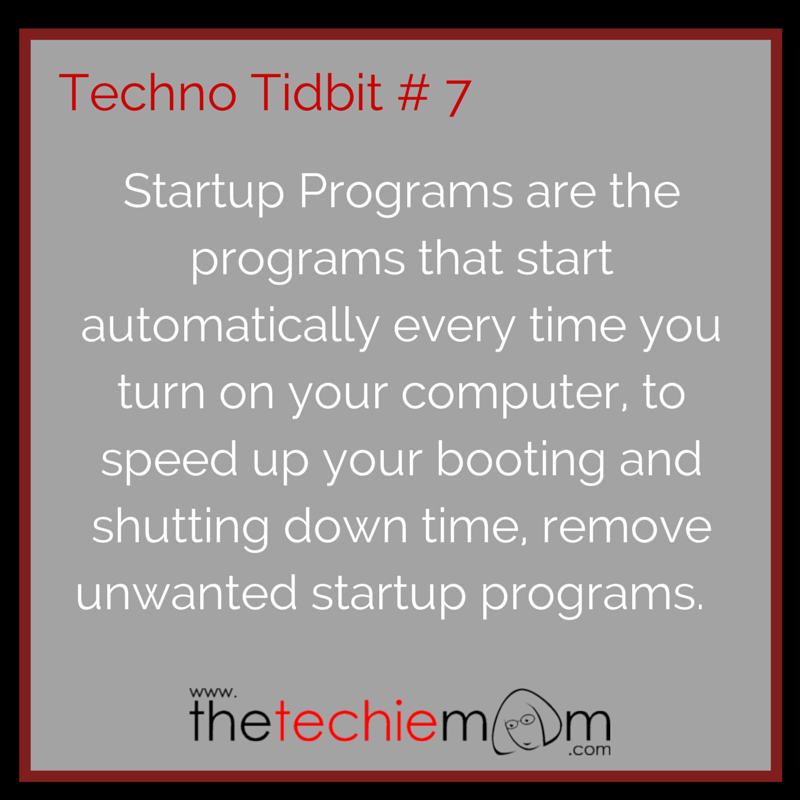 Techno Tidbit #7: Startup Programs are the programs that start automatically every time you turn on your computer. Imagine, you have 15 programs in your startup, your computer is accessing 15 different programs and starting them up, before you even get to your desktop. These can include manufacturer-installed utilities and drivers, what’s worse is, more often than not, you don’t even use half of them. To speed up your booting and shutting down time, disable or remove unwanted startup programs.